The mission of Blessing from D-Skies is to unite pilots and people with caring hearts in order to gather and deliver necessary supplies and disaster relief to people in need in order to help give a children a place to grow both domestically & internationally. Barefooted children run and play amid rows of abandoned, rotting shacks. The colorful raggedy remnants of clothing flap dry on neighborhood clotheslines. An unimaginable stench wafts across the countryside. You would never see images of Andros Island on postcards, yet, this impoverished, forgotten land is part of the Bahamas. Although thousands travel to the resort regions of the Bahamas each year, few see Andros Island, but I did, and it was a life-changing experience for me. When I was twelve I, along with twenty others dedicated volunteers, embarked on a weeklong service trip to the island of Andros. Although I had been pre briefed about the harsh living conditions of the island’s residents, I was shocked and saddened nonetheless when I first saw the extreme poverty in which the families of Andros live. It was disheartening to realize that just a three-hour plane ride away from the continental United States people lived in a hot tropical climate without air conditioning, running water or electricity. At that moment I realized how much I have, and more importantly, how much I have to give to others in need. During this trip my eyes and heart were opened to how much need exists in the world and to my ability to play a part in helping those in need. I realized that even as a young person, I can actually make a substantial difference in people’s lives. With David in mind and with the help of community leaders, I started a philanthropic organization called ‘Blessings from D-Skies.’ The mission of this organization is to unite pilots with concerned people in order to collect and deliver necessary supplies and disaster relief to those in need, domestically & internationally. In 2010, we hosted our first event called ‘Christmas in Andros’ where local churches “adopted” kids and donated wrapped presents. We then had ten volunteer pilots deliver these Christmas presents to children on the island of Andros. In some cases these were the first wrapped gifts some of the children had ever received. This has become an annual event that continues to grow each year enabling us to serve more families. Our efforts have expanded to include the delivery of clothing and school supplies and our organization has grown to include volunteers at Mississippi State University. ‘Blessing from D-Skies’ is still in its early stages but I feel optimistic that with the organization’s basic infrastructure in place, there is no limit to our growth and ability to serve more families in need. As I go through college, I hope to continue to grow and nurture this organization so that we can help the people in Andros and others around the globe. My service trip to Andros became a defining moment and has led my life to places I never imagined. I plan to use my experiences to not only positively affect my life, but also the lives in and around my community. From the first day my son Steven came back from Andros asking me to see how we could help these people. It inspired me to continue to try and help people and places in need of the support. 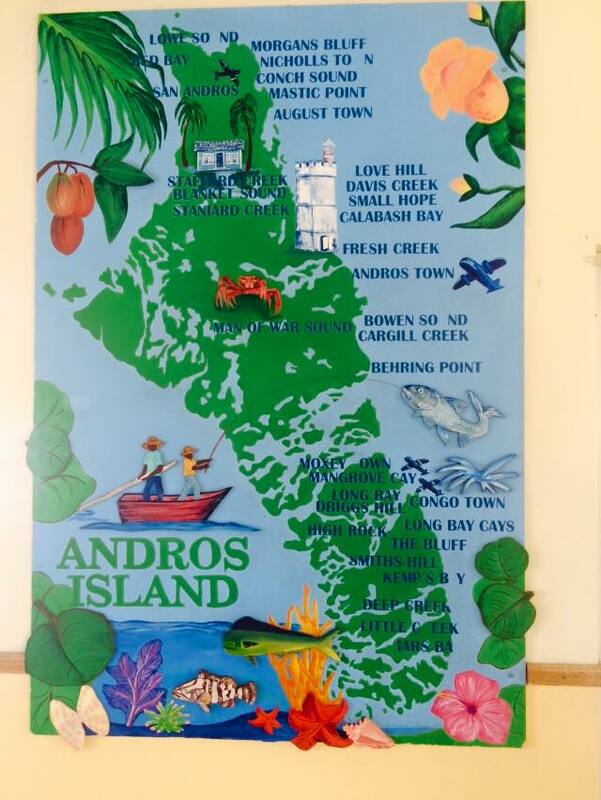 These people of Andros now have a very special place in my heart. I will continue to try to get these people the support they need for their children, community, faith and family values.